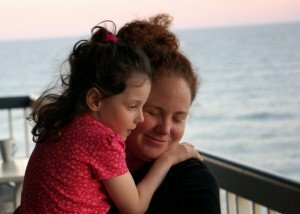 Strategies for creating balance when your child has CP–It’s tough! 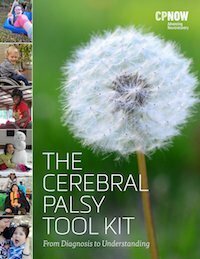 Creating balance in your life when you have a child with cerebral palsy or any other chronic health condition can be difficult. 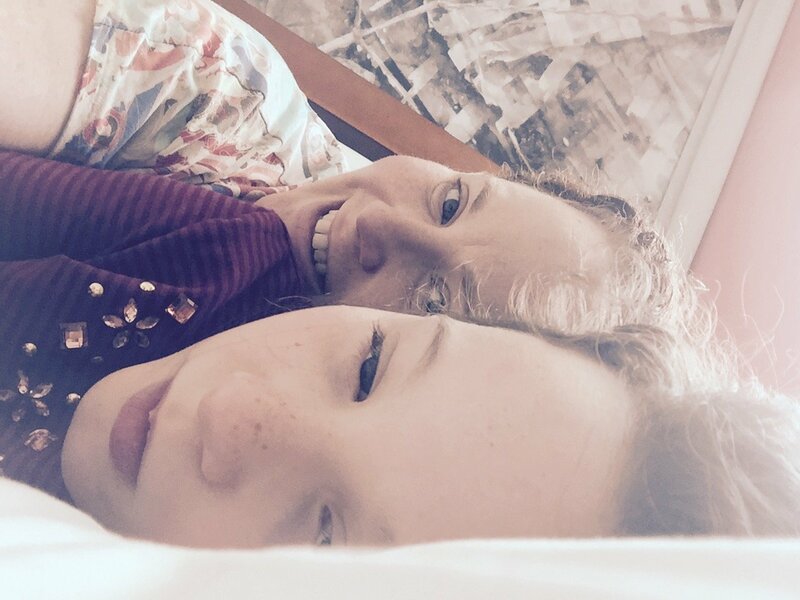 Ever since my daughter’s diagnosis of CP eight years ago, I have struggled with the ongoing tension between wanting to seize opportunities to encourage her greatest improvement and not making our life all about therapy and treatment. For many years when she was very young, there was great uncertainty about her developmental path, and during this time it was difficult for me to find much balance in daily life. As her primary caregiver I kept seeing all of the activities and peer interactions she was missing out on and I felt I needed to fight harder and “shout louder” against her CP and the confusing tide of signals her brain was sending her muscles. I figured it was better to sacrifice parts of my daughter’s childhood and a few years of mine and my husband’s life, than to miss what I understood were “critical opportunities” to help her have the best possible future. The difficulty in creating a balanced lifestyle when a child has had a brain injury or disturbance in brain development often relates to the confusion of dealing with an unknown future. This is because no one can tell you with certainty how much potential for change your child has. For my daughter’s toddler years I felt like I was in a race without a finish line, wondering how many areas of development I could support to keep her development as close to her same-aged peers as possible. As she got older, however, I slowly let go of this thinking as I saw that my daughter continued to get further behind even as I pushed the daily limits of her energy and the energy of our family. You may be in a similar position. You may often feel like there are not enough hours in the day to meet your needs and your child and family’s basic needs. You may also have people tell you that “you must take care of yourself” which sounds like a nice idea that you will get to some day in the far off distance. There are however a few tips and tricks that may shift your approach to caring for your child and free up some of your emotional and mental energy and maybe even some of your time. In order to fully implement some of these simple strategies, it is helpful to understand why CP is so difficult to manage and to evaluate the ways you are coping with your child’s CP diagnosis. With many health conditions a diagnosis offers guidance to parents about what they can expect as their child grows. This information allows parents to begin to set down emotional roots, start to cope with their child’s present symptoms and prepare for known future conditions. A diagnosis like cerebral palsy (CP) is different because the developmental path is often unclear and will vary from one individual to another. The diagnosis of CP allows families to access services, health benefits, and provides them with a name for their child’s symptoms, but it does not offer parents the deeply desired road map they are often searching for. This uncertainty can create extraordinary emotional strain as well as anxiety and confusion because parents are unsure of what changes they can help foster in their child and what circumstances they will ultimately need to accept. These are understandable feelings and normal ways of coping with the diagnosis, but each of them has pitfalls that are important to be aware of. As an example you may be spending so much time searching for answers on the internet that your relationship with your spouse begins to suffer, or you find unreliable hope in a remedy found online that will cost your family lots of money and disappointment. Pay attention to how much intellectual and personal energy you are giving towards finding answers for your child. Be sure to carve out times during the day to simply be with your child, other family members, or spouse without thinking about CP or without focusing on how your child is moving, speaking, walking, etc. Don’t sacrifice reason and good sense to help your child. Before trying a new therapy, make a list of the sacrifices the treatment will require you and your family to make. Weigh the emotional and financial costs and the physical, safety, and unknown risks the treatment will present against the possible benefits for your child. Remember that a treatment without any known risks does not mean it is risk free. Discuss these issues with people you trust and your child’s medical team. Set time commitment and financial limits and discuss expectations. Your child will have his or her own developmental timeline. When you compare your child to other same aged peers, you may subliminally approach your child with disappointment and s/he may perceive this as something s/he is doing wrong. Focus on the positive points, the things that are working and the small, incremental steps that lead to putting larger developmental pieces together. Assess and honor your child’s physical and cognitive energy limits each day.These may change daily. You know your child best. Don’t be afraid to speak up if you think what is best for your child is different from what the experts advise. Be aware of what is driving your approach to your child’s therapy/developmental support program. Be honest with yourself and look out for guilt, fear, and hopelessness that are motivating you to push your child and other family members in unhealthy ways. For many parents the realization that your motivations may not align with what is best for your child is part of the emotional journey that is a necessary step on our the way to accepting the CP diagnosis. Remember, it’s your child who has to ultimately participate in the therapy and integrate all of the information that comes from your therapy planning. Looking back I understand that I was driven to find better ways of helping my child because accepting the status quo wasn’t equating with the progress I envisioned. I felt that I couldn’t stand idly by, watching and waiting. I had to do whatever I could to potentially make her path easier. Creating a balanced schedule becomes easier as your child’s developmental picture becomes clearer. Over time, as you and your professional team have had a chance to observe your child, you will have a better understanding of how to focus your time and which therapies and treatments work best for your child. Focus on what your child does well and what they like. Integrate interests with opportunities for development. Maya loves horseback riding and because it doesn’t feel like therapy to her, it provides both enjoyment and therapeutic benefit. The riding facility we go to compares therapeutic horseback riding to sneaking broccoli into cookies and I couldn’t agree more! There is no secret cure for CP and when there is a major treatment breakthrough it won’t be a secret. I am not discouraging you from trying to create a program that works for your child, but just be sure to give other aspects of your life and your child’s life attention as well. 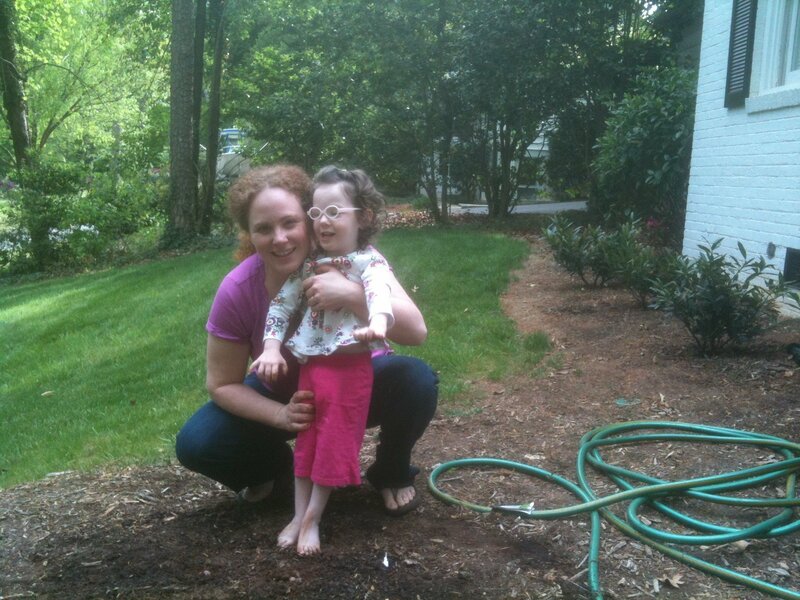 Over the last eight years it has become much easier to accept that my daughter has a disability. I now spend much less of my time and energy thinking about how to make her symptoms of CP go away and focus more helping her plan and achieve her individual goals in a timeline that is best for her. I feel optimistic and hopeful rather than hurried and guilty. I look for smaller developmental changes, still hoping for the larger ones, but perhaps not counting on them. I celebrate her triumphs alongside her. We spend much more time laughing and having fun. Looking back I cannot say that I would have approached her diagnoses differently, but I wish I had chosen an easier route. In order for me to arrive at the place of acceptance I am now, I believe I had to experience and accept the limits of my power. By doing so I learned to accept what I reasonably could not change, yet still remain open to and hopeful for new possibilities and technology that may increase my daughter’s participation in life. To my surprise I also learned that many times my daughter will spontaneously put together new skills during prolonged breaks from therapy, at times when we are focused on enjoying life instead of obsessively tuning into things like how she is using her hands or holding her head. Coming to terms with a diagnosis like CP is not always about grief. Sometimes it’s about celebrating our children’s victories and talents, and ensuring that they have the support they need at home and in society, to ensure that those strengths can come forward and can be shared with the world. Oh, this article so speaks to me. Such wise words. Thank you for sharing. I love what u wrote and I Have read it before but I felt like Reading it again! I love you both so much !! !❤️❤️❤️ Your my inspiration !! Thank you so much for your heart felt words which are so eleloquently put together. I can whole heartedly relate to this and am constantly struggling with balancing life and therapy, particularly having other chhildren whom i feel i have neglected for 7yrs since my son was born and diagnosed with cp. It’s good to know to know that i am not alone in this battle of balance.